We previously reported Laura Vandervoot and Hannah Anderson joined the cast of Lionsgate’s new SAW sequel. But now news drops the production company added yet another head to Jigsaw’s cutting-room floor: Mandela Van Peebles. Peebles’ break out roles were in We The Party, which he starred opposite Snoop Dogg and the 2004 documentary The Story Behind Baadasssss! : The Birth of Black Cinema, which he starred opposite Bill Cosby among others. Peebles is more recently known for his work starring in A&E’s ‘Roots’ remake and USS Indianapolis: Men Of Courage, in which he starred opposite Nicholas Cage. 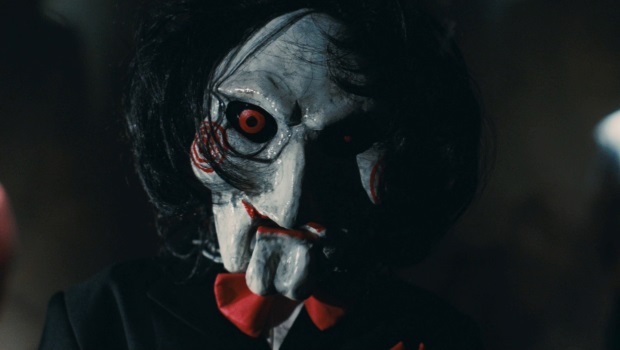 SAW’s eighth sequel, SAW: Legacy, is directed by sibling duo Peter and Michael Spierig from a script by Pete Goldfinger, Josh Stolberg, James Wan and Leigh Whannel. Producers Mark Burg, Gregg Hoffman and Oren Koules all returned to produce the film, as they did for the others in the SAW franchise. A plot is currently unknown, yet filming has already been completed. We can expect to see the sequel open in theaters just in time for Halloween though! SAW Legacy hits theaters October 27th.